Product #21715 | SKU NA3FF | 0.0 (no ratings yet) Thanks for your rating! 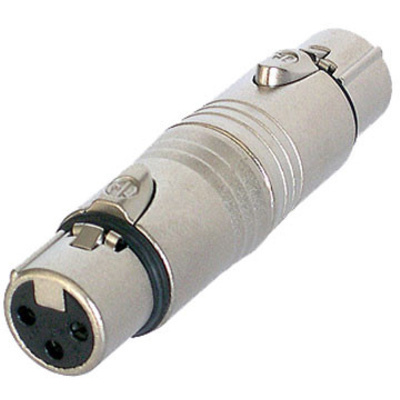 This Neutrik XLR Female to XLR Female Adapter has a tough, die-cast exterior housing that protects terminations. It also features latch lock connectors to prevent cables from being accidentally disconnected.